Feel like you're celebrating the holidays in a rustic farmhouse as you admire this basket full of assorted Christmas greens arranged in a dark wooden basket. 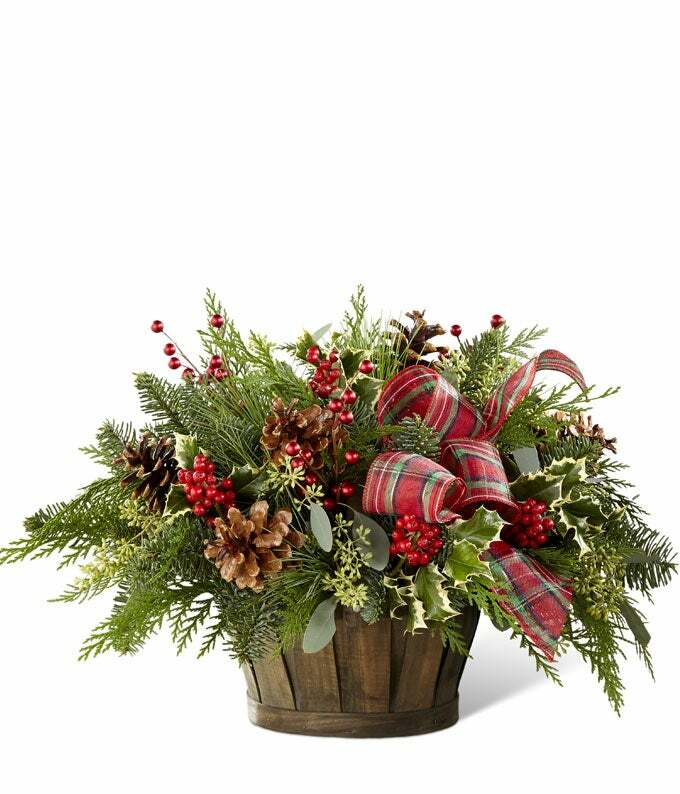 This arrangement will spruce up your home and make it picture perfect for Christmas. Approximate Size: 13"H x 20"W.